Australia's government has preliminarily blocked Chinese and Hong Kong bidders from taking a controlling stake in the country's largest electricity network, citing worries over national security. In a statement to the media, the Australian Treasurer Scott Morrison has said the foreign investment proposals from Chinese and Hong Kong bidders "were contrary to the national interest." China's State Grid Corp and Hong Kong's Cheung Kong Infrastructure Holdings (CKI) were attempting to buy a 50.4% controlling stake in Ausgrid, which is New South Wales's electricity distribution network - the largest in the country. State Grid Corp has not commented so far on the blocking of this sale, but undoubtedly the reaction in Chinese media will be one of outrage. Hong Kong's Cheung Kong Infrastructure Holdings, owned by HK billionaire Li Ka-shing, has distanced itself from this rejection. In a statement to the BBC it said: "We believe that the Australian government must have reasons beyond the obvious which led them to make today's announcement. The issue is unrelated to CKI." Australia's move comes as the UK has postponed approval for the Hinkley Point nuclear power project, in which China's General Nuclear Power Corporation will have a minority stake, on similar concerns. 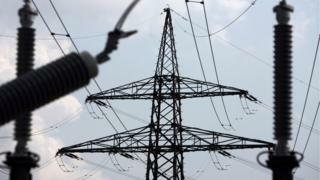 Image caption Scott Morrison said the project was "contrary to the national interest"
The power grid sale, which is reportedly worth about $7.5bn (£5.8bn), would have allowed the Chinese and Hong Kong bidders to acquire the controlling stake in Ausgrid for 99 years. Ausgrid was appealing to international investors because it is seen as yielding stable and positive returns. Chinese companies have been on a global acquisition spree, buying up resources and power firms in Asia as I've been reporting. Take the Edra asset in Malaysia for example, which was also not without controversy. But Australia's Mr Morrison said that during the review process, national security issues were identified in critical power and communications services that Ausgrid provides to business and governments. Mr Morrison said the bidders need to address these concerns, and that they have until 18 August to submit their proposals to him, at which time a final decision will be made on the project.